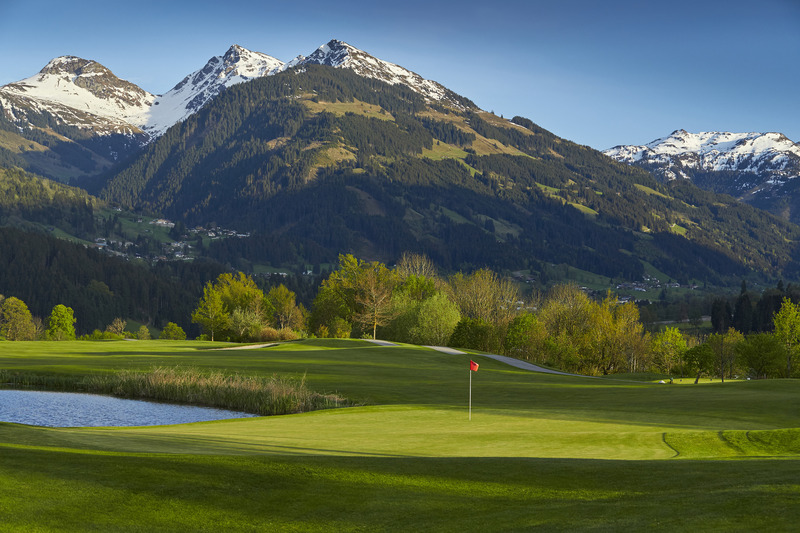 Alpine golf is like no other - and certainly not in Kitzbuhel. 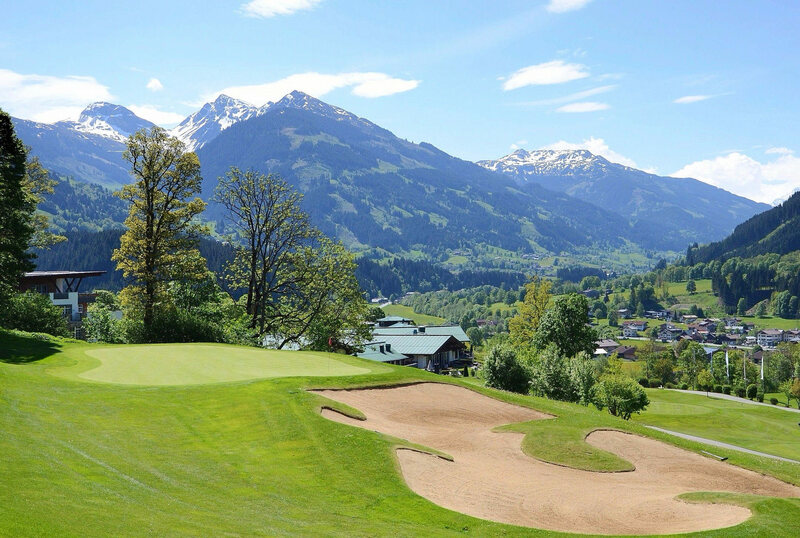 The hills of Austria - and Kitzbuhel in particular - are alive to the sound of titanium drivers and shouts of fore! The world famous ski resort where the feats of local hero Toni Sailer and the legendary Franz Klammer on the imposing Hahnnenkamm run are still fondly remembered, is now home to five top golf courses. 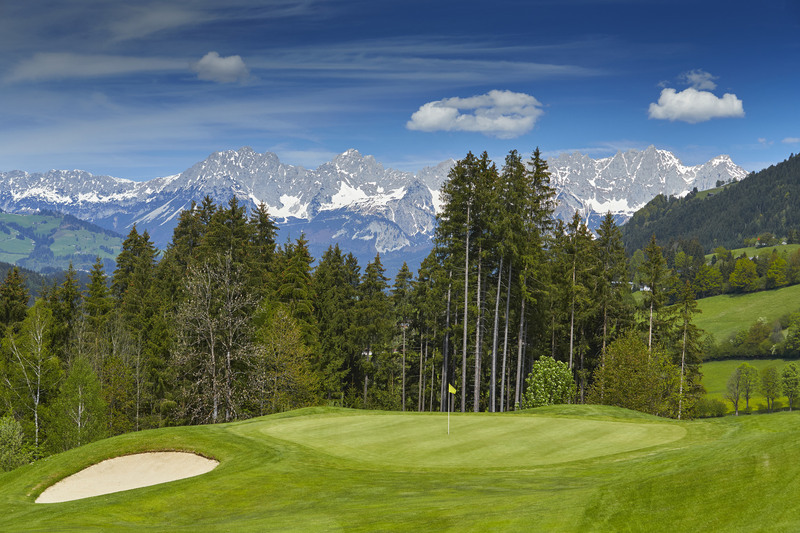 In fact, the Austrian Tyrol region has rapidly emerged as one of Europe’s top new golf destinations. And the undoubted jewel in the crown is the majestic Kyle Phillips-designed Eichenheim Golf Club beneath the Wilder Kaiser mountains. Phillips has used all his imagination he put into Kingsbarns in Scotland and The Grove just outside Watford, to create this masterpiece under the Alpine mountains. 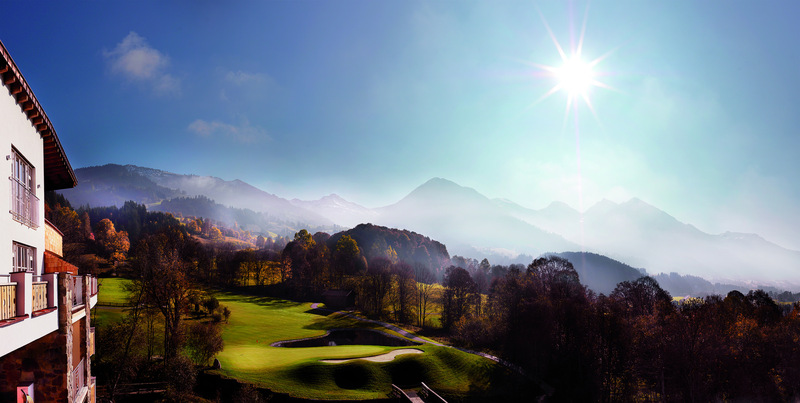 Indeed, Alpine golf is like no other - and certainly not in Kitzbuhel. At 2,000 feet, the course is relatively low but the ever-present mountain backdrops just takes your breath away. In fact, you could say it is golf in a million-dollar setting. 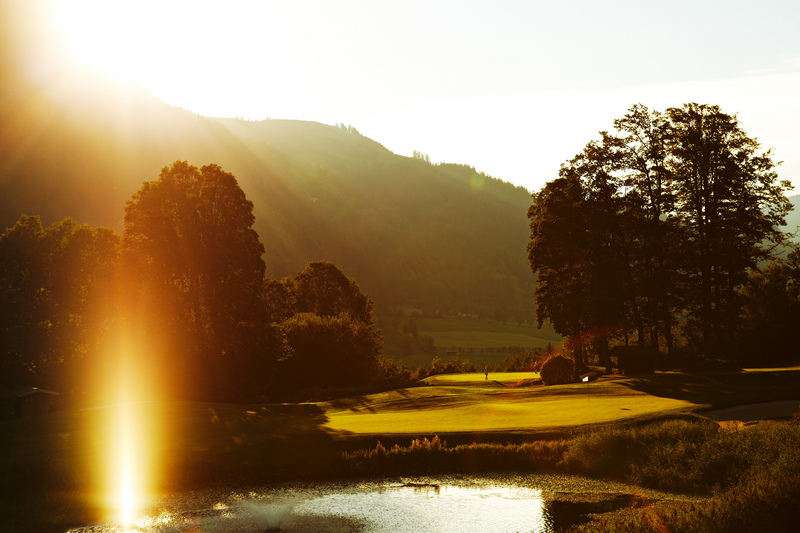 And it certainly was last month (September) when the Million Dollar Hole in One Grand Final was staged on the Eichenheim course at the luxurious Golf & Spa Resort Grand Tirolia Kitzbuhel. Three golfers from across the world - Marissa L’Estrange, from Brisbane, Australia, Jose Pinto Da Silva, from Lisbon, Portugal and Merja Salminen from Sipoo, Finland - had the chance to shoot for a life-changing $1million on the 150-yard par-three second hole. Alas, no one managed the feat. MDHIO, which has been running since 1990 in the USA and since 2000 in Europe, has steadily grown in popularity over the years. More than 50,000 people each year try their luck at the various par-3 holes at the 40 associated courses across Portugal, mainland Spain, Majorca and the UK. The final is held in Las Vegas every other year and hosted at other top venues across the world every alternative season. This year it was Austria’s turn and former England striker Alan Shearer, an ambassador for MDHIO’s sister company Million Dollar Club, was on hand to watch the drama unfold. Shearer, a three-time Golden boot winner and now a keen golfer, was full of praise for the course and the resort. Although the Alpine golf season is deep into the back nine - it stretches from early May to mid-October - Eichenheim was in pristine condition for the showdown. The opening hole is a dauntingly-difficult par-5 which threads its way through a narrow gap between rock face and trees to a slightly elevated green, well protected by bunkers. Then, it is literally up, up and away - consistently climbing until the fifth tee. Indeed, the Californian master keeps the pressure on for the full 6,092 metres, cleverly exploiting elevation, trees and sand traps. The third is a cracking down-and-up 492m par 5 - with plenty of hang time. It certainly lives to its stroke index 1 billing while the splendid short par-4 dog-leg seventh has two old Tyrolean wood barns flanking the fairway. The signature hole is probably the short par-4 ninth which has out of bounds on both sides, water guarding the left side of the green and large overhanging trees on the right. Although the back nine of this par-71 layout descends into the valley floor and is slightly less physically demanding, there are several beautifully-designed holes. One of these is the 391m par-4 11th - an uphill slight dog-leg to an elevated green. And this is followed without drawing breath by a long par-3 over a precipice to a green far, far below. The home hole is another stamina-sapping uphill par-4 dog-leg - out of bounds to the right - to an elevated green protected in front by no fewer then seven bunkers. There is also a 30-bay driving range, golf school, practice bunkers and a putting green, plus a cosy Golf Bistro restaurant. Buggies are equipped with GPS, and are a must for players given the long, undulating walks between tee and green. Oh, and make sure to take a course planner as distances are hard to judge. Eichenheim, which opened in 2000, has also been home to the PGA Challenge Tour's Austrian Championship and is consistently ranked as one of the best - and certainly the most beautiful - courses in Austria. 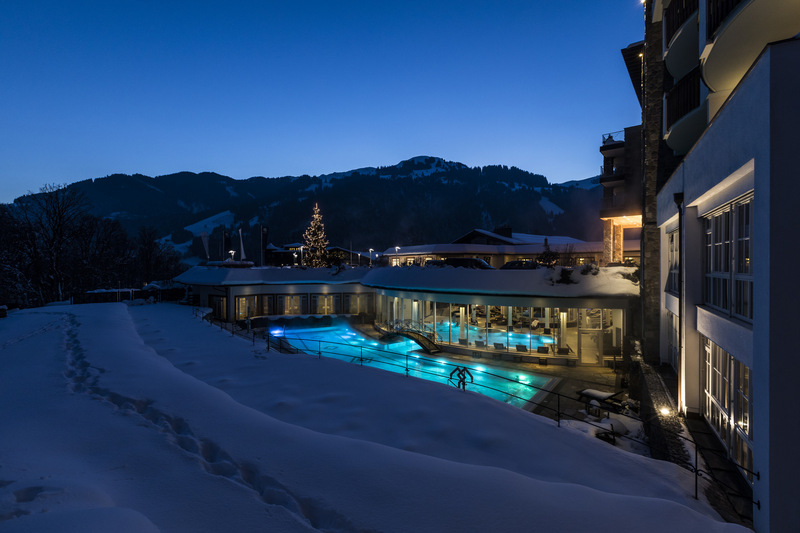 Equally impressive is the Grand Tirolia Kitzbühel Hotel and the resort’s owner, Russian Jelena Nikolajewna Baturina, has spared little expense on what can only be described as a opulent resort. Little wonder it was voted Luxury Golf Hotel of the year 2017 in the Luxury Travel Guide awards. 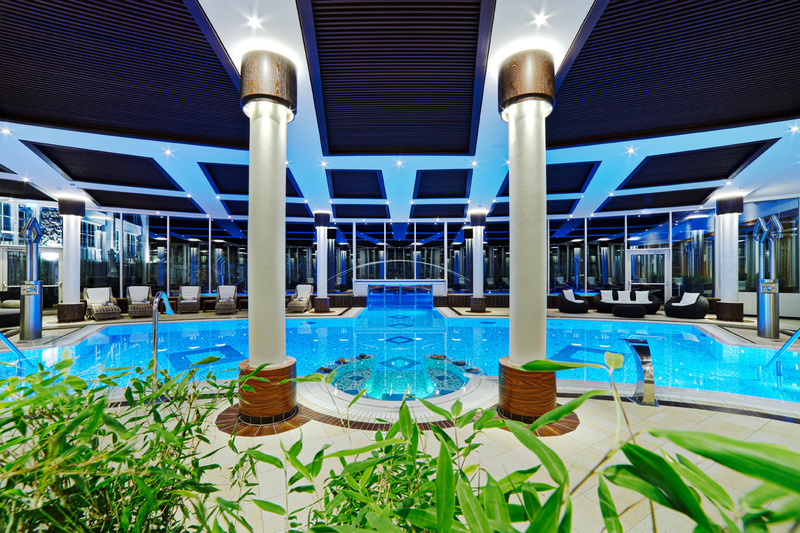 Situated about an hour from Salzburg airport, the Grand Tirolia features an extensive range of luxury facilities such as the Grand Alps SPA that includes an indoor/outdoor pool, six saunas and 13 treatment rooms. 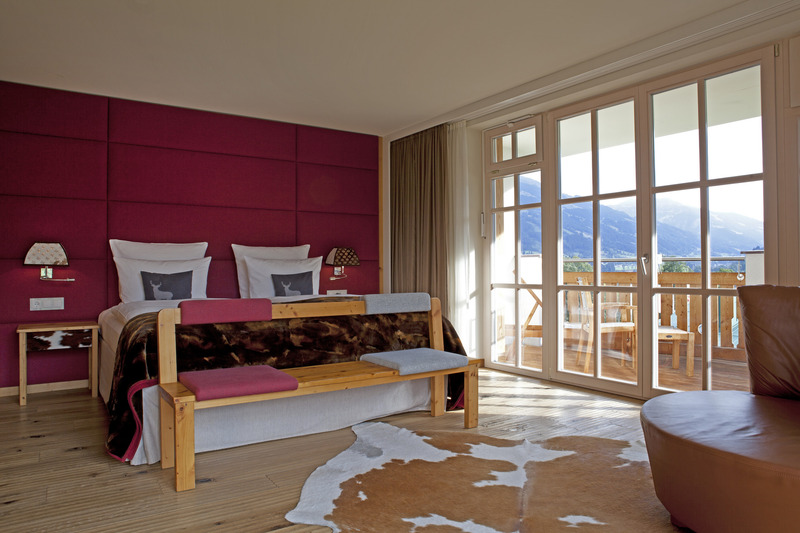 There are 81 spacious rooms and suites, including the 300sqm Presidential Suite - where apparently Shearer stayed - two hotel restaurants, a couple of bars and three sun terraces offering panoramic views over the Tyrolean alps.